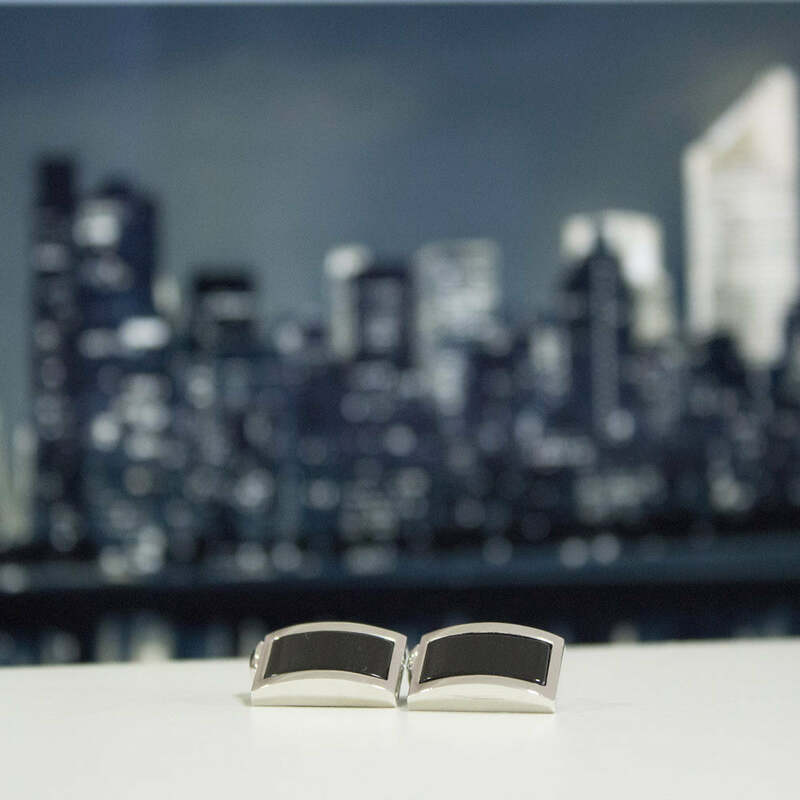 With stainless steel plating, black agate and a streamlined silhouette, this cufflink will definitely be suitable for any occasions. Adorn your outfit by reversing the cuffs with the little silver bars. They have a finely crafted look about them, and you can wear them either way that you like, making these cufflinks easy to put on. Each pair of cufflink is presented in a beautiful box - ready to gift or keep for yourself.